The lives of a young boy and his family who live in rural area of New York state are explored in brutally realistic and dreamlike ways. Indie cinema is a haven for coming-of-age tales that explore the benefits and consequences of growing up in marginalized societies, small towns, and rural areas. "We the Animals" is no exception. This is the narrative feature film debut of director Jeremiah Zagar, though he does have many short films and documentary features to his credit as well. It is written by Daniel Kitrosser and is based on the novel of the same name by Justin Torres. 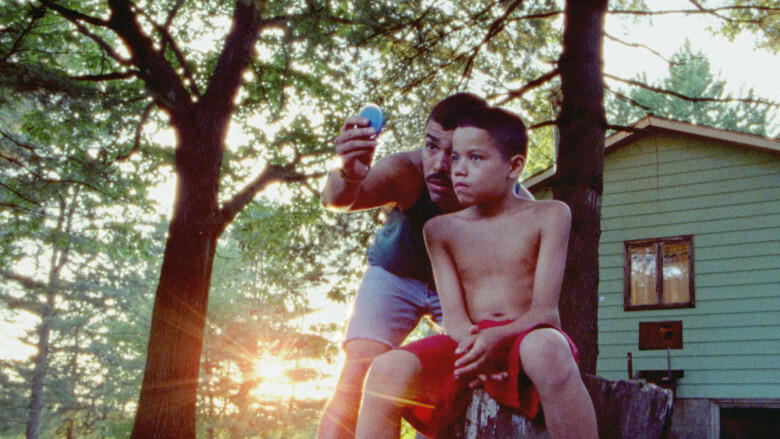 The movie gives us a glimpse into the lives of brothers Jonah (Evan Rosado), Joel (Josiah Gabriel), Manny (Isaiah Kristian), and their Ma (Sheila Vand) and Paps (Raúl Castillo), who all live in a rural part of New York state. The primary focus is on the youngest, Jonah, and his coming-of-age story. The boys forge their way through their youth without a care in the world until it becomes clear that their Ma and Paps have a volatile, abusive relationship that affects everyone in the household, rarely for better, mostly for worse. As Jonah finds solace from their anger and arguments in his drawings, an active imagination, and a nearby neighbor friend, his brothers Joel and Manny act akin to how their father would with violence, tantrums, and even dabbling in illegal activities like smoking and shoplifting. Yes, "We the Animals" is another slice-of-life independent drama that seeks to put a face to bittersweet family life. It shows how someone's upbringing turns them into the adult they become when they grow up. As we watched this film, we couldn't help but compare it to last year's "The Florida Project." It's a movie that focuses on rambunctious kids that have less-than-fit parents, which may lead them on a path to eventual failure in life. When it comes to its pacing, it is a bit slow and lingering. It draws out the verbal and physical altercations between Ma and Paps to reinforce the nature of just how depressing life can be for these boys. These elongated scenes show what an irreparable impression these moments can leave on the young. The element that sets "We the Animals" apart from other movies like it is the integration of drawings that explore Jonah's inner thoughts and feelings. His illustrations come to life in artistic, imaginative ways and show that even the smallest, most inconsequential fights, conversations, and interactions can have a hugely devastating impact on a boy with questions, concerns, and a big heart. Zagar also makes Jonah's dreams, triggering memories, and fantasies come alive in unsettling, charming, and realistic ways, which helps add an intriguing, creative flair to the movie's oft-explored themes. As with a good portion of indie cinema, there is a lot of ambiguity centering on Jonah, his parents, his brothers, and the neighbor boy he meets where he seeks solace from his problems. We have a hunch the timeline is non-linear. We believe this story is told in a way that makes it look like a lot is happening within a compacted period of time, but that may not actually be the case. The way it is filmed and the way this tale unfolds gives the appearance that some characters have rapidly declining morals and temperaments when it's actually just a manifestation and projection of the future from Jonah's point of view. The film ends abruptly, which some people will absolutely hate because it calls even more details and scenes into question. The actors bringing this story to life do an excellent job here. Young Evan Rosado will surely have a spectacular career in Hollywood if he keeps acting as it is obvious he is capable of giving a truly great performance. Raúl Castillo and Sheila Vand play terrifically turbulent lovers who are polar opposites that clash at every turn right in front of their young, impressionable kids. 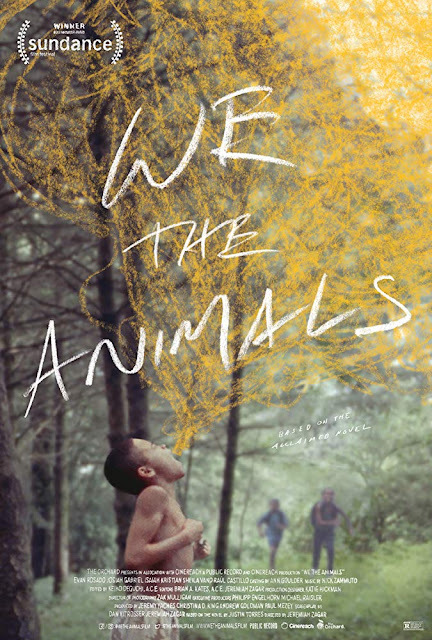 "We the Animals" is almost like a poem come to life in some ways with added visual cues to reinforce the ambiguity of the whole thing. The movie looks incredible, that's for sure, we just wish we had been a bit more attached to it. It will not have the power to sway people who are not already fans of deeply personal indie stories like this, but there is a lot to enjoy about it if you give it a chance.